"For 85 dollars it needs a lot of work. Too many un-named streets , outdated street information, late and inadequate voice commands, icons needs to be updated to a car or options to choose from, POI should be upgraded and most of all it is certainly the way it stands not worth 84 dollars. 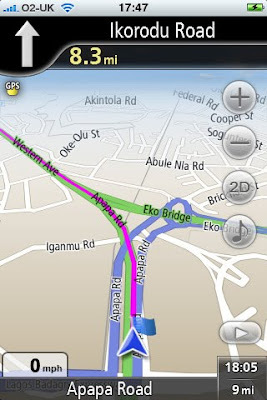 The turn by turn navigation software for Nigeria (GARMIN) that I purchased and use on my NOKIA E71 is far better and more useful." A piece on the service here.